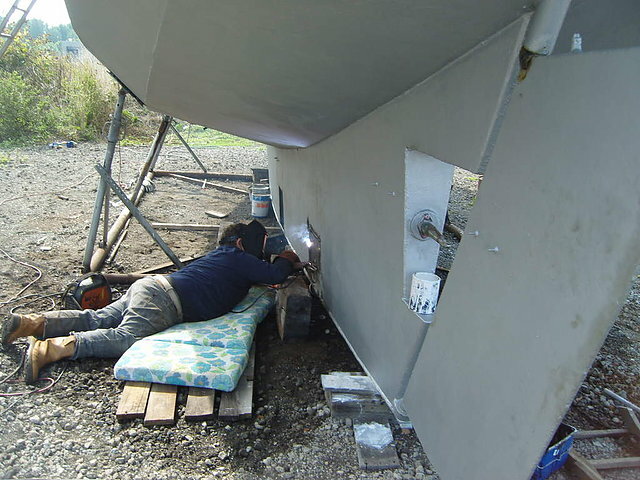 That’s my neighbour Jean welding up some windows we had cut into the long keel to assess the strength of the steel plates and paint the interior. 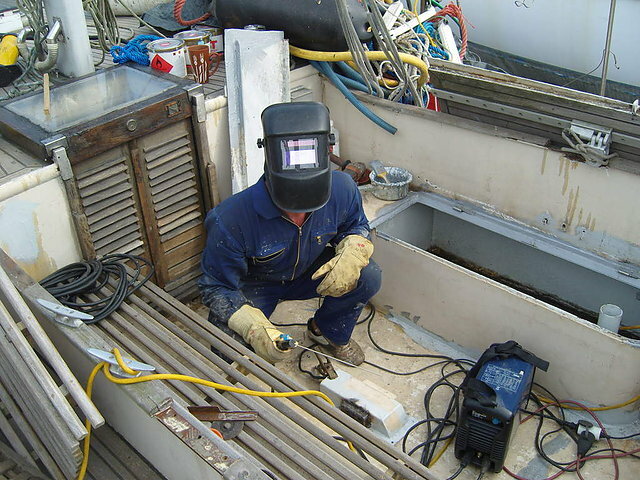 Eventually I started doing some welding myself.. The mask presenting endless opportunities for darth vader impressions of course. 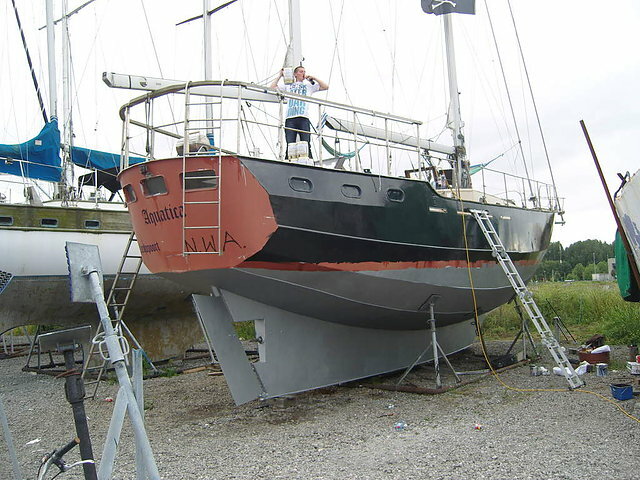 We did derusting, steel epoxy paintwork, woodwork, engine fiddling, hydraulic steering overhaul, packing boxes, equipment installation, removed the autopilot twice, took out the engine starter motor and overhauled it, antifouling got covered in oil, diesel, grease, toxic paints and of course rust.. This is actually the second attempt, which took place on my birthday and exactly one year after I had bought monster as a birthday present for myself. (On the first attempt the cooling water pump failed so I had to go back on the hard for a week – bit depressing that). 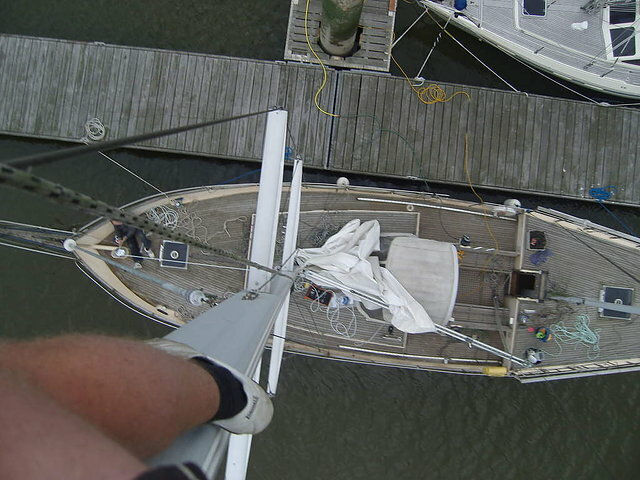 After launch, I first went up the mast and discovered that the Genoa stay was frayed at the top – more work to be done. 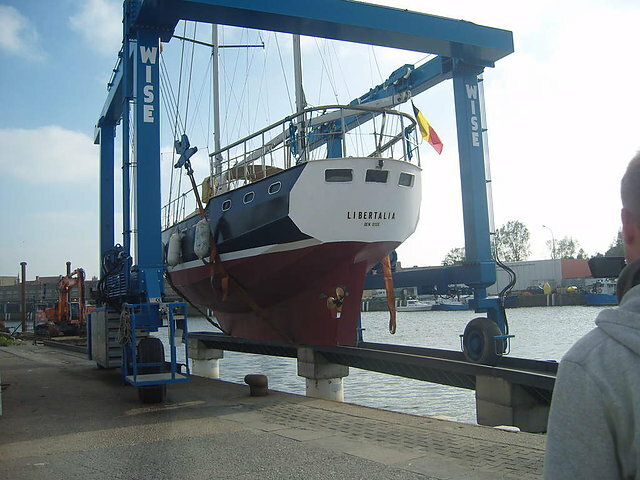 So I got an appointment in Blankenberge to have that done by sail and rigging guy Wittevrongel – our first trip.